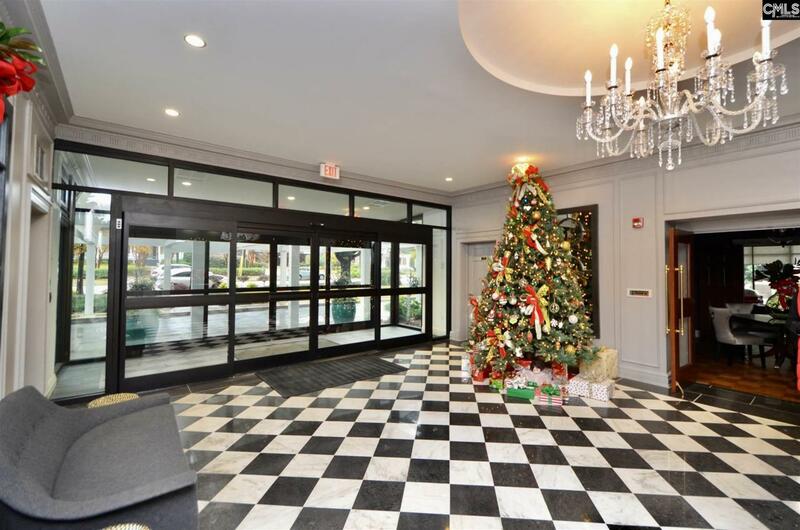 Stately and wonderful, this condo has the best of views on the sunrise side of the Heritage. 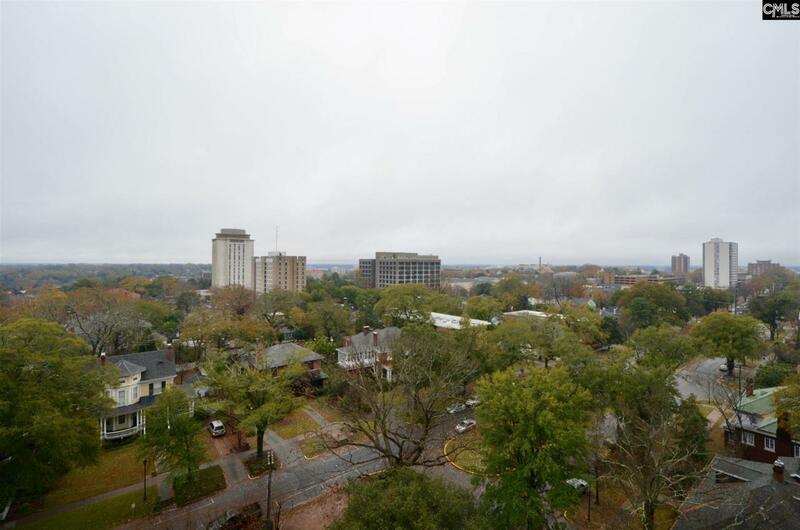 The unit, 9 foot ceilings , ornamental fireplace, renovated kitchen, new carpet and tile... all make for a perfect and gracious home in one of Columbia's best addresses. The granite in the kitchen and mirrored backsplash decorate the kitchen which opens into the living and dining area and the huge view. Surrounding the condo there is an exterior porch wrapping on two sides, and all the sliding glass doors have been replaced and are new. The Entry foyer is glamorous and welcoming with new floors. This unit has two deeded parking places, and in the best of locations in the covered garage. Their is also a wine closet that belongs to the condo. The regime fees cover all the basics plus the frills associated with a carefree lifestyle such as pool, state of the art fitness area, yoga room, 24 hour security, and social rooms available to the owners for larger parties.. Visit to see one of the most prestigious locations to live in Columbia! Listing provided courtesy of Home Advantage Realty.